"Bad as they already are, I suspect the Tories will undershoot those early polls. Where is the incentive for their supporters?" In last week's update, I took an optimistic line that the Brexit endgame was nigh and that clarity would soon emerge. That, I must now admit, was wrong. Sorry, fellow Brits, this nightmare will go on and on. The domino effect discussed there has been delayed. The flaw in the theory involved extending Article 50. I expected either a short extension, to facilitate the Withdrawal Agreement's assent through parliament, or a long extension that would enable a rethink or renegotiation. Instead, October is now the likely new deadline, assuming that Theresa May doesn't miraculously get the WA through imminently. The new dates solve absolutely nothing. Cross-party talks are floundering, predictably, because for all the will in the world, May or Jeremy Corbyn represent very different audiences and priorities. A deal would be ruinous for both their individual careers and possibly parties. Labour particularly have no incentive to help the Tories end their self-created nightmare. Instead, therefore, the next stage of this saga will be the European Elections - the UK is now rated 91% likely to participate at odds of [1.1]. The government is still determined to avoid them but those odds reflect that everyone expects and is preparing for them. The outcome will not only profoundly impact what happens next with Brexit, but has the potential to blow up and realign the British party system. As many of us have been warning for months, this is fast becoming an existential crisis for the Conservative Party. Their members and voters are overwhelmingly Brexiteers. As a result of the government's negotiation strategy, their favoured outcome is now to leave without a deal. Predictably many feel betrayed. These polls must terrify both May and any of her potential successors. Betfair are offering odds on both the Exchange and Sportsbook regarding which party will win the most seats - void if cancelled. If those polls are accurate, Labour would be a money printing job but the odds reflect a deeply uncertain moment in political history. Voters have barely started considering how to treat elections they assumed would never occur after the 2016 referendum. Obviously, the Conservatives are deeply split. May seems to have lost the support of all bar those on the government payroll. The weekend saw another couple of defections to TIG - Neil Carmichael and Stephen Dorrell. One Daily Telegraph writer even backed ERG hardliner Mark Francois. More pertinently ahead of an election, the members are absolutely fuming about the Brexit delay. Many, perhaps most, candidates will either boycott it or give a protest vote to a Brexiteer alternative. Bad as they already are, I suspect they will undershoot those early polls. Where is the incentive for their supporters? The two main recipients for these protest votes would be UKIP or Nigel Farage's new Brexit Party. As the Newport West by-election showed, the former's potential support is now extremely limited. 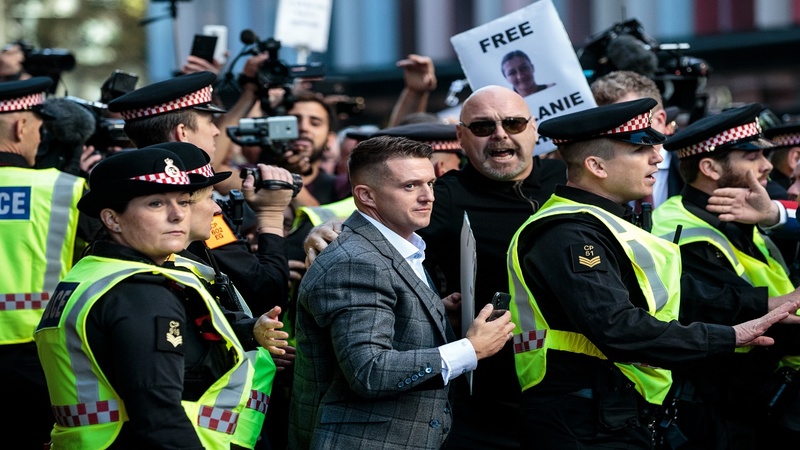 They have become a BNP-style far right party - obsessed with anti-Islam rhetoric and allied to 'Tommy Robinson' (pictured) and football groups. Far too extreme for the British public and, since Farage left, shorn of their USP. 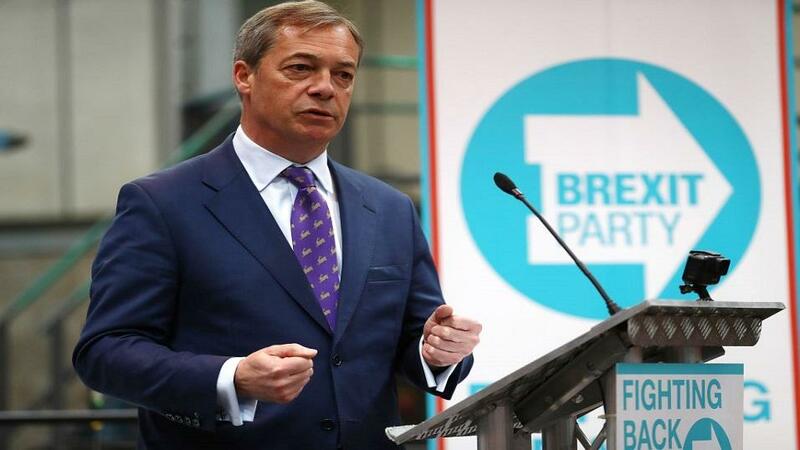 The new party will surely do well and have legitimate hopes of emulating UKIP's 27% share and victory in the last round of Euro elections in 2014. However I think their chance is overstated. The Brexit vote will be split three ways and Farage remains as toxic as ever to a clear majority of voters. The dynamics will be very different to 2014. In past Euro polls, critics of it were predictably much better motivated. Labour and Lib Dem under-performance was a given. Remainers are now better motivated than ever. I expect a big rise in enthusiasm and turnout among more liberal, leftist and younger voters - in keeping with a wider post-2016 trend. The question is who will they support? Remain options are a plenty on this ballot, albeit split between LDs, Greens, SNP, PC and now Change UK. Were they to swiftly agree to a tactical arrangement, it could be a game-changer. Also, what will Labour policy be? They too are divided over Brexit. ITV's Robert Peston reports that the leadership will soon make a second referendum their explicit policy - using the model of the 1975 referendum, in which the leader would stand back and allow both sides to campaign for either Leave or Remain. The long-term effect of such a move remains arguable but, for these specific elections, it would be a winning strategy. Labour are already liable to get their core vote out, because their grassroots have become better organised under Corbyn's leadership. This is a golden opportunity to skewer the Tories and create the impression of a government-in-waiting. Brexit is a secondary concern. To use simplistic definitions, adding a segment of radicalised Remainers to the already motivated Corbynistas would create a formidable electoral coalition, especially in the immediate context. Odds of [1.8] represent outstanding value - much more so than any of the numerous Brexit-related markets listed below.